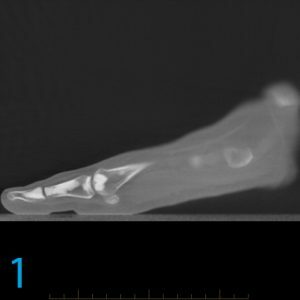 What rare condition can be seen in this 29-year-old’s foot? 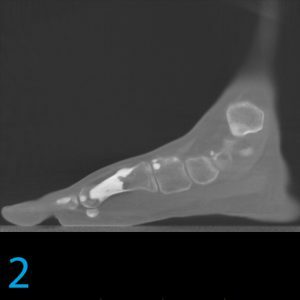 This 29-year-old male reports with left midfoot pain. 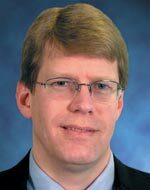 CT performed for diagnosis demonstrates a rare condition. Q1 – Do you recognize the rare condition? Hint: Think about lighting a candle for the table before dinner. A1 – The diagnosis in this case is melorheostosis. Melorheostosis is a rare, sporadic osseous dysplasia and is characterized by areas of bony sclerosis having the appearance of dripping candle wax. As in this case, it sometimes appears to flow across joints from one bone to the next. On MRI, these areas would appear as well-defined or geographic areas of low (black) signal on all sequences, with no associated bone marrow edema in uncomplicated cases. Although melorheostosis can cause pain, it is more often incidental. 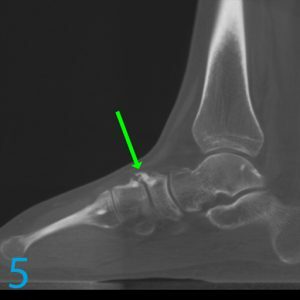 Arthropathic hypertrophic bony spurring involves the dorsal aspect of the navicular-cuneiform articulation (arrow, image 5) in this case, which can account for the patient’s pain. 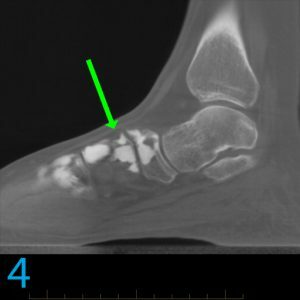 Melorheostosis can be seen to involve these bony spurs. 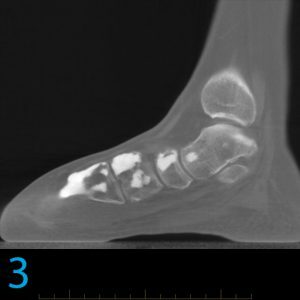 Progression of the disease in adults can cause deformity and contractures, and early deformity of the first metatarsal shaft is seen in this case. This is not to be misdiagnosed as sclerotic metastases which, though they can very unusually occur in the peripheral extremities, would demonstrate a more random distribution and would not be expected to align themselves along a single ray or only along the medial column, as in this case. 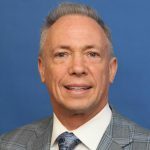 Why is this patient still in pain eight months after surgery? There are three ligamentous structures. Are you up for the challenge?